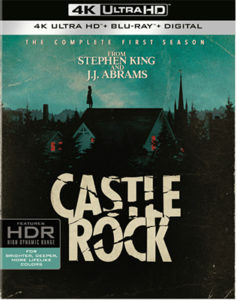 The first season of Hulu original series “Castle Rock” will be available for digital purchase Oct. 15, and on Blu-ray, DVD and 4K Ultra HD Blu-ray Jan. 8 from Warner Bros. Home Entertainment. 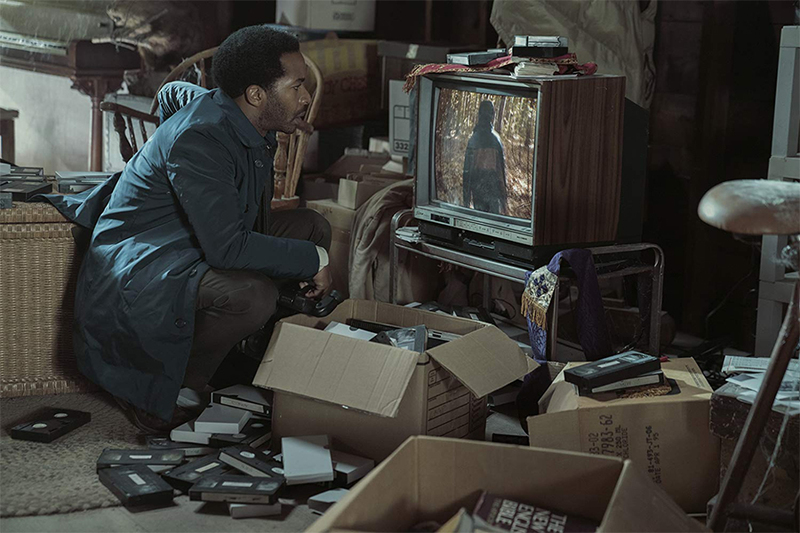 The psychological horror series is based on the works of Stephen King and brings together elements from several of his books to follow the story of an attorney (André Holland) who is embroiled in a mystery in the fictional town of Castle Rock, Maine. The first season consists of 10 episodes. Bill Skarsgård, Sissy Spacek, Melanie Lynskey, Jane Levy and Terry O’Quinn also star. The series is executive produced by King, J.J. Abrams, Sam Shaw, Dustin Thomason, Ben Stephenson, Mark Lafferty and Liz Glotzer. 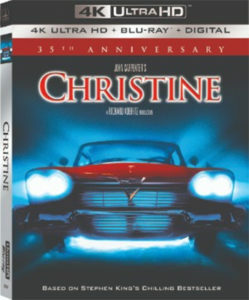 Sony Pictures Home Entertainment is marking the 35th anniversary of director John Carpenter’s Christine with a 4K Ultra HD Blu-ray release Sept. 11. The film will also debut in 4K via participating digital platforms. 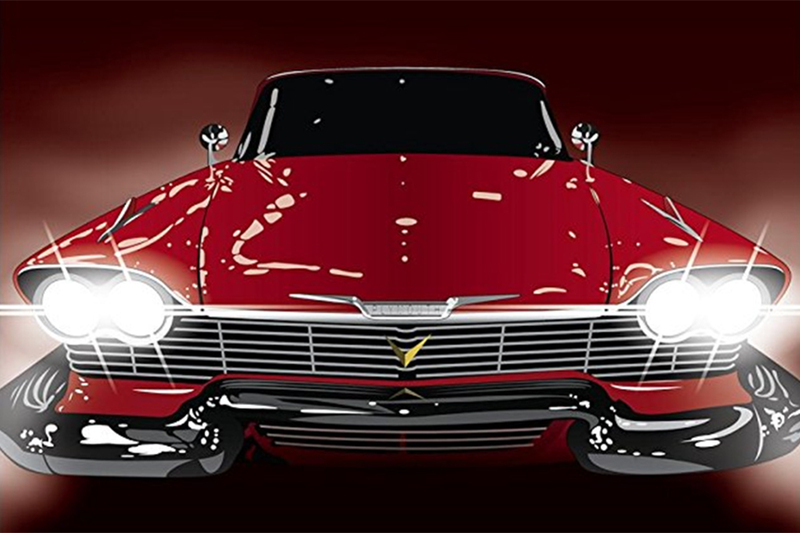 Based on the Stephen King novel, the film follows the murderous rampage of a sentient Plymouth Fury and its effect on the car’s new teenage owner. The 4K Blu-ray includes high dynamic range and Dolby Atmos audio compatible with Dolby TrueHD 7.1. 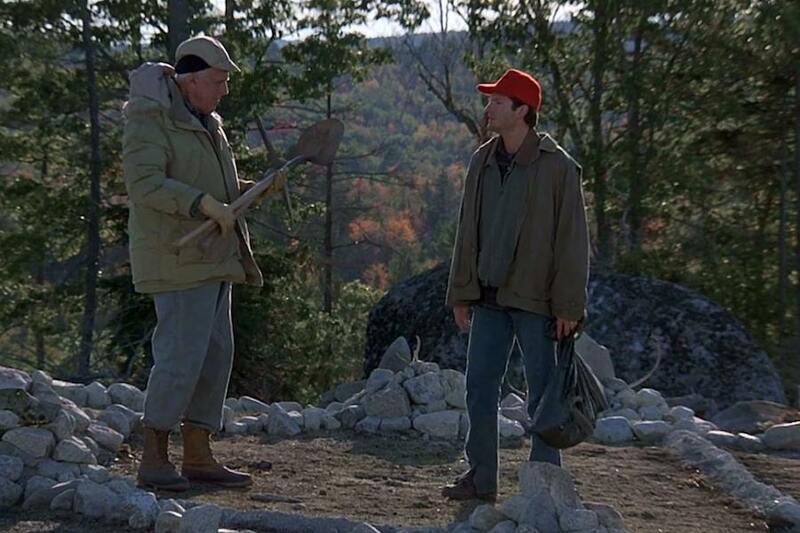 The combo pack will also include a digital copy and a regular Blu-ray that includes deleted scenes, commentary with Carpenter and star Keith Gordon, and featurettes. 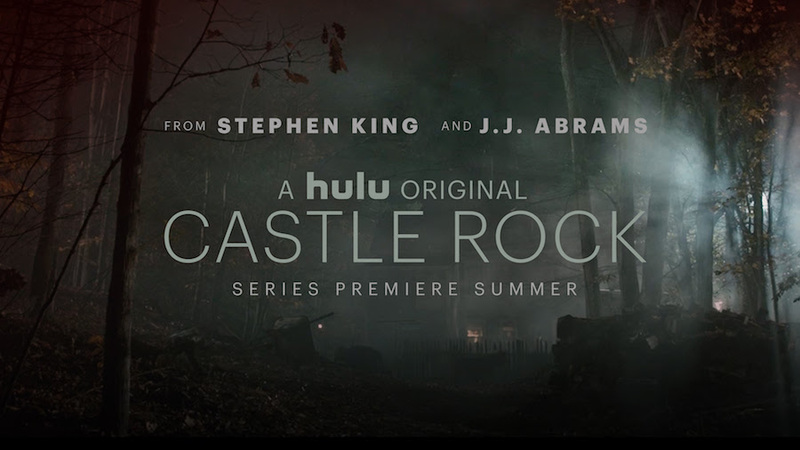 Hulu has unveiled its Super Bowl commercial for upcoming original series “Castle Rock” from J.J. Abrams and Stephen King. The series premieres this summer exclusively on Hulu. A psychological-horror series set in the Stephen King multiverse, “Castle Rock” stars André Holland, Melanie Lynskey, Sissy Spacek, Billy Skarsgård, Jane Levy and Scott Glenn. Sam Shaw and Dustin Thomason developed the project for television and serve as executive producers along with J.J. Abrams, Ben Stephenson and Liz Glotzer. “Castle Rock” is produced by Bad Robot Productions in association with Warner Bros. Television. Three new releases took the top three spots on the national home video sales charts the week ended Jan. 13, led by Warner’s It, the latest adaptation of the Stephen King horror novel, following the 1990 miniseries that was a big home video hit for the studio. The film earned more than $327 million in U.S. theaters and debuted at No. 1 on both the NPD VideoScan First Alert sales chart, which tracks combined DVD and Blu-ray Disc unit sales, and the dedicated Blu-ray Disc sales chart. Bowing at a distant No. 2 and No. 3, also on both charts, were the animated musical fantasy My Little Pony: The Movie, from Lionsgate, and the Universal Pictures actioner The Foreigner, a revenge thriller starring Jackie Chan and Pierce Brosnan. My Little Pony: The Movie, based on the “Friendship Is Magic” TV series, sold 16.9% as many units as It, while The Foreigner, with a domestic gross of just under $35 million, sold 16.5% as many units. The prior week’s top seller, Universal Pictures’ American Made, slipped to No. 4 on both charts after debuting at No. 1 the prior week. American Made stars Tom Cruise as a CIA pilot who becomes a smuggler for Central American drug lords and earned $51.3 million in U.S. theaters. Rounding out the top five was Warner’s Dunkirk, the war drama that earned more than $188 at the domestic box office. Dunkirk finished second the previous week. It generated 62% of its total unit sales from Blu-ray Disc and 12% from Ultra HD Blu-ray Disc, according to VideoScan. Blu-ray Disc accounted for 53% of total unit sales for both My Little Pony and Foreigner. On Media Play News’ rental chart for the week ended Jan. 14, The Foreigner debuted at No. 1, bumping American Made to No. 2. Home Again, a Universal Pictures comedy that earned $33 million in U.S. theaters, rose up to No. 3 now that it’s month-long holdback from Redbox is over. Rounding out the top five on the rental chart were the 20th Century Fox drama The Mountain Between Us at No. 4 and Universal Pictures’ Despicable Me 3 at No. 5. Rated ‘R’ for violence/horror, bloody images and for language. Stars Bill Skarsgård, Jaeden Lieberher, Wyatt Oleff, Jeremy Ray Taylor, Sophia Lillis, Finn Wolfhard, Jack Dylan Grazer, Chosen Jacobs, Nicholas Hamilton, Jackson Robert Scott. It’s easy to see why director Andy Muschietti’s It was such a huge hit in theaters. In successfully translating the themes present in Stephen King’s source 1986 novel, Muschietti has managed to craft a solid piece of entertainment that works even for viewers who aren’t necessarily interested in looking for the deeper meaning of it all. The film covers roughly the first half of the book, in which a group of kids in a small town in Maine band together to confront a demonic creature that emerges every 27 years to feed off the fear of the town’s youth. (It: Chapter Two, about the adult versions of the characters fighting the creature, is due in 2019). The kids, who call themselves the Losers’ Club, are mostly social outcasts who find a common bond in their efforts to save the town from the shapeshifting creature, whose best-known persona is that of Pennywise the Dancing Clown (Bill Skarsgård). None of the adults in town believe anything they are saying about it. There are clear metaphors at play about the awkwardness of growing up and overcoming childhood anxieties. But the film also works on a pure nostalgia level, a throwback to youthful adventures such as The Goonies and Stand By Me (also based on a King story). 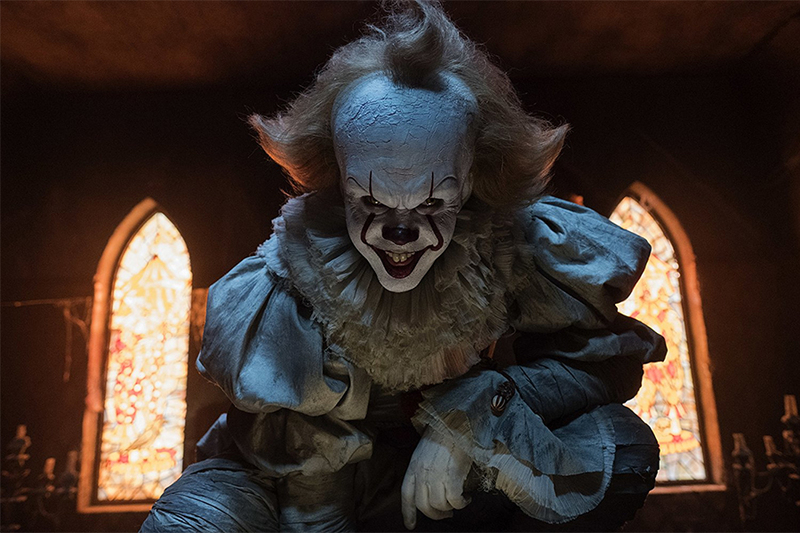 Indeed, some of the scenes of the kids confronting real-life hazards, such as dealing with local bullies or abusive parents, are almost more unsettling than Pennywise’s attempts to devour them (though the Pennywise scenes are certainly up to the task of freaking out viewers looking for a good fright). The film is also well-timed to take advantage of the huge popularity of Netflix’s “Stranger Things,” which itself is a throwback to 1980s movies featuring kids embarking on adventures and often encountering aliens or other supernatural threats. 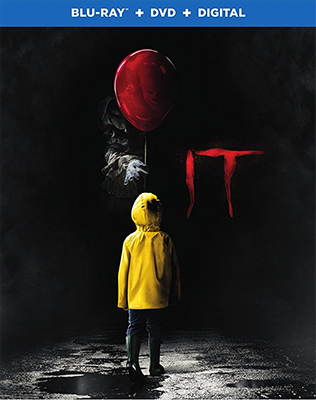 The It novel and 1990 miniseries were certainly influential on the development of “Stranger Things,” whose creators, the Duffer Brothers, had pitched their own treatment of an It feature film before doing the TV show. “Stranger Things” star Finn Wolfhard also appears in It as a member of the Losers’ Club. 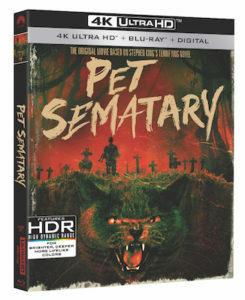 The Blu-ray features about an hour of bonus materials, including 15 minutes of deleted scenes and three featurettes focused on the making of the film. The most interesting is a 14-minute interview with Stephen King as he explains his motivations and inspirations for writing the book, and why he thinks the film version gets it right. There’s also a 15-minute profile of the kids who play the Losers, and a 16-minute look at Skarsgård’s portrayal of Pennywise.